Unique game - Great campaign - Play as El Presidente! Tropico 4 stays true to the popular Tropico series and is one of the better games like SimCity available. Tropico 4 was developed by the team at Haemimont Games and offers an exciting mixture of simulation, construction and management. 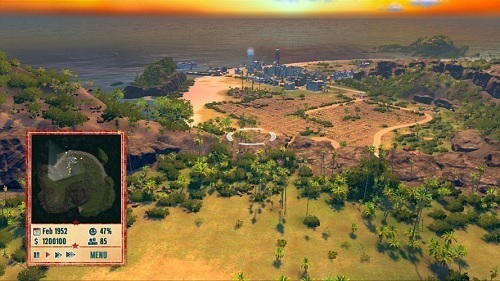 The game allows players to create their own banana republic inspired island nation while also customising their main character known as El Presidente (the dictator of your island paradise). Tropico 4 offers plenty of content with a 20 mission campaign and a number of DLC packages also available to expand on the base game. These missions take place over 10 pre-made maps but players can generate other random maps to get more out of the game. The game starts with players taking control of the island of Tropico and from here you’ll manage imports/exports, talk with your cabinet of ministers, tackle disasters that strike your island and commit to a variety of faction tasks. The PC version of the game includes Facebook and Twitter integration to allow users to share and compare their results with others, something that adds a unique aspect to the game, but most players will probably ignore. 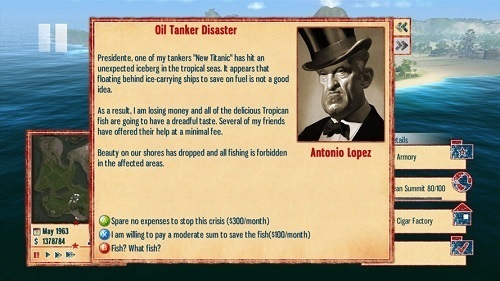 Humor also plays an important role in the gameplay of Tropico 4 mostly through satirical commentary based on the players actions and results. While the game isn’t a straight city builder and has more micro management required than the SimCity series (and other city builders) the humour setting and gameplay of Tropico 4 won’t disappoint. By grabbing the Tropico 4 Gold Edition you’ll get the original game and the expansion pack to unlock more content and features. Combines building, management and politics for a fun experience. Play as El Presidente to create your perfect island nation. Players can link Facebook and Twitter to compare rankings with others globally. Packed full of systems to manage (politics, trade, disasters and more).